How Much Does an RV Water Heater Cost? RV water heaters can be quite pricey but are greatly desired (unless you like cold showers). They come in different forms, the most common being a standard 10-gallon water heater and a tankless water heater. But how much is “pricey”? How much does an RV water heater cost? 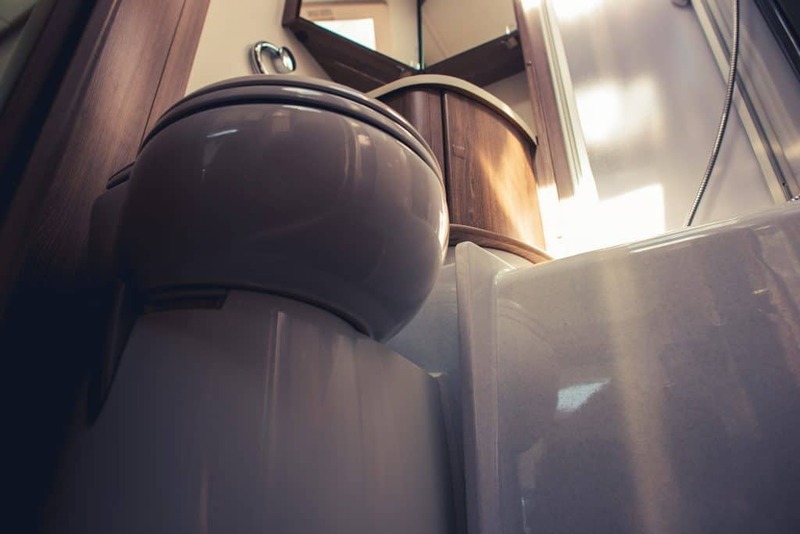 The average RV water heater costs between $800-$1,000. A standard 10-gallon water heater will cost around $800, while a tankless water heater will cost around $1,000. 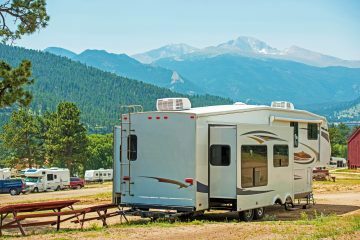 It all depends on the amount of hot water you want on your RV, and how much your RV is meant to hold. The standard water heater obviously holds much less water and takes a significantly longer time to heat up than the tankless water heater. The tankless water heater stores gallons of heated water for your immediate use, whether you plan on using it or not. If you’re curious about some of the details, read on! Standard water heaters (normally 6-gallon) have been the standard as far as water heaters in RVs come, but the tankless water heater has completely changed the game. The tankless water heater not only heats your water on demand but is great for the environment. There is nothing more frustrating than stepping into the shower when you’re already running late, just to find out the water is still cold. The standard water heater is fine for a weekend trip where you are only planning on needing hot water to wash a few dinner dishes, but if you are planning a week trip with kids, this will probably not suit your needs. Depending on the size of your family, it could take all day to try to cycle each person through the shower while you wait for it to warm up. And even then, the water will usually get cold by the time you are covered in bubbles and ready to wash off. A huge improvement from the 6-gallon water heater tank is the 10-gallon. This is usually an upgrade from the normal 6-gallon but still takes about an hour to heat back up after a shower. In order to get the most out of your hot water is to lessen the water flow by a little bit and it will last longer. The 10-gallon water heater will last you a full shower, but the next person waiting to shower will have to wait quite a while for their turn. While a 10-gallon is a nice upgrade for a smaller size family, it costs about $800. You are getting a little more time out of your hot water, but have the same wait time for it to heat back up. Imagine having everyone in your family take a hot shower, one right after the other, washing dishes and doing laundry after everyone is done taking a shower. Sounds crazy, right? Tankless water heaters are what your long, hot shower dreams are made of. 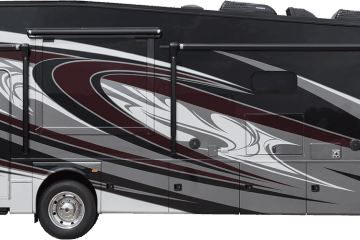 Though they aren’t standard for RVs yet, they are available for upgrade for around $1,000. With propane burners and the sensors powered by 12V DC, your water will heat as soon as you turn on your faucet, just like the water heater you have at home. As soon as the water starts flowing, the water heater senses it and heats the water. A question that pops up frequently when talking on tankless water heaters is, what happens when you are not connected to the city water? If you are just using water in your RV, how does the water heater know when you’ve run out of water? There is a spinning blade turns as water flows through the unit. When you run out of water, the spinning component stops turning because water is no longer passing through. The burner will then shut off or refuse to ignite, rendering the system safe until water flow is again established. Tankless water heaters are available in propane and electric options- it is up to the buyer to decide which type is right for them. However, electric water heaters are quieter than propane heaters and use about 60% less propane than propane heaters. This is a great option if you are looking to go green. Depending on your personal needs for a water heater, a standard water heater could fit them perfectly. It is quite lower in price compared to the tankless water heater. If you are not going to use the tankless water heater to its full capacity, then I would stick to the basics here. Camping for one or two people who go occasionally would be a great fit for the less expensive option. This standard water heater will come in your RV so you won’t have to worry about upgrades or spending the extra grand having a new one put in if you really don’t need it. Keeping the cost in mind, tankless water heaters use 30 to 50 percent less energy than units with tanks, saving the average family about $100 or more per year (depending on the water usage.) They save money and energy on not having to keep a storage tank full of water. 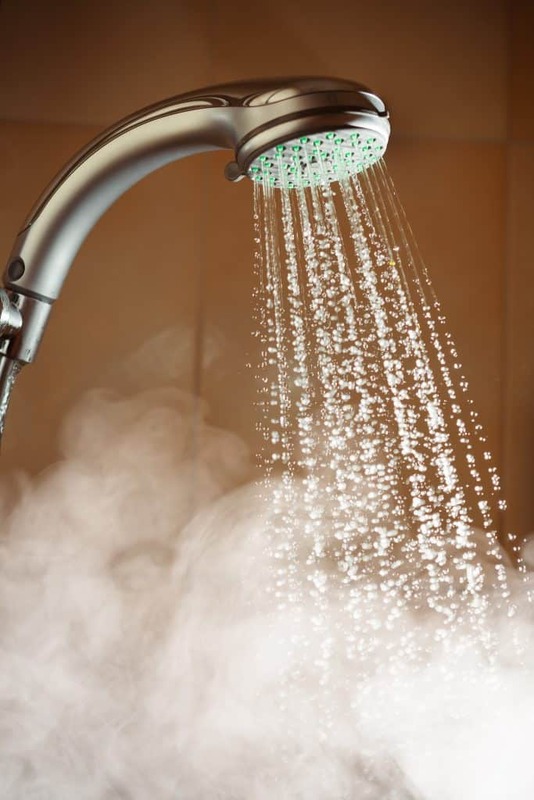 The biggest pro for most people is the luxury of having instant hot water that is not limited to a 20-minute shower. This is a huge help to those who camp regularly or have large groups they camp with. 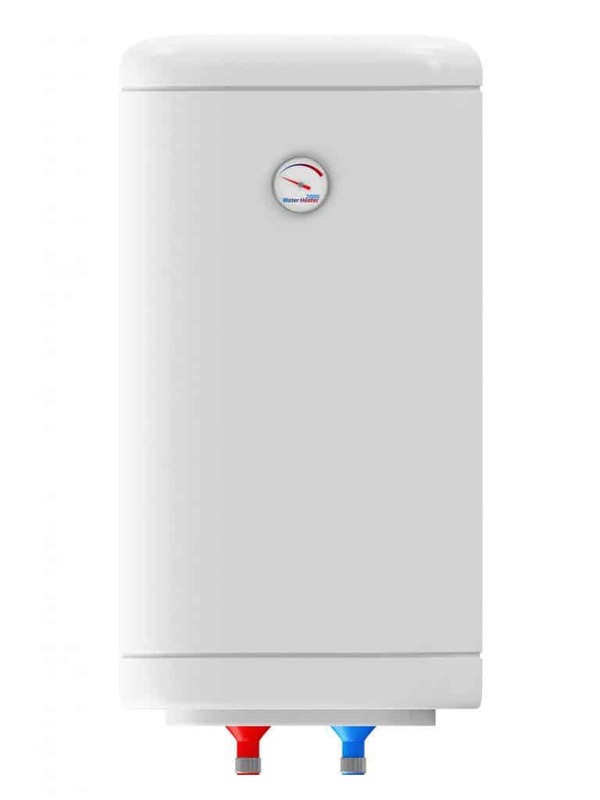 It is the most user-friendly water heater option for the price. They are very effective at instantly heating your water. A tankless water heater promises to save you up to 20% on your electric bill. These heaters can be remotely controlled and offer up to four separate settings. Tankless water heaters typically offer a longer warranty on their products which can go from 6 to 15 years to a lifetime with some products. The obvious con to the standard water heater is the lack of heat. Unfortunately, the standard 6-gallon or 10-gallon water heater will not provide heat for even a full shower and takes an hour to reheat the water. This problem can become tedious and drive a larger group of people camping quite insane. These water heaters can also be noisy if that bothers you. The price tag on the tankless water heaters is a definite drawback if you are looking to upgrade. To some, it is completely worth it, but it can cost a pretty penny in order to get the water heated on demand. Even though it does end up saving money, it is an investment. Standard heaters are constantly holding hot water, using energy which is essentially costing you more money. Tankless water heaters do not need to heat up the entire tank but rather heat as the water flows, therefore saving you more money. How do I convert a standard RV water heater to a tankless? Look into different tankless options and see if it would be a better fit for your personal needs. If you are looking to switch it from a standard, it would be best to hire an electrician to change it out for you. What are the best RV tankless water heaters? A few of the top reviewed RV tankless water heaters are Precision Temp RV-550 Tankless Water Heater, Eccotemp FVI-12-LP Propane Tankless Water Heater, and the Excel Tankless Gas Water Heater.